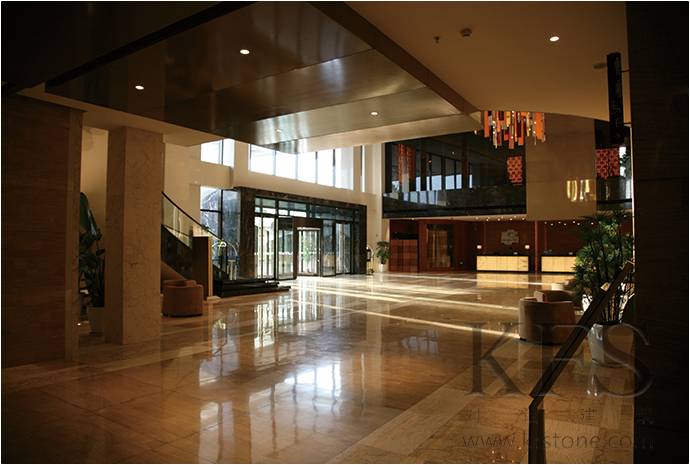 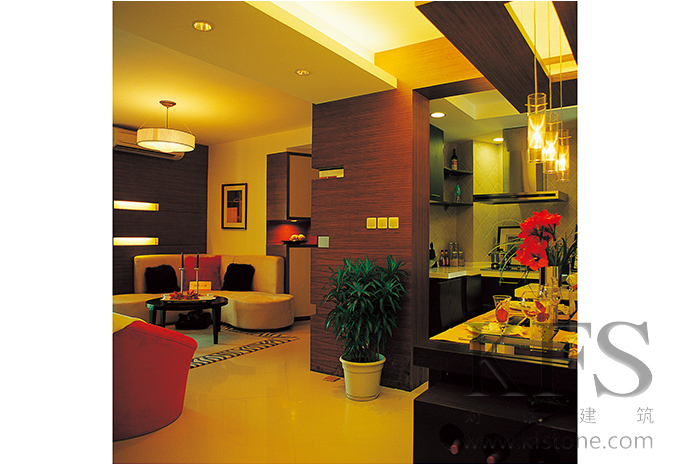 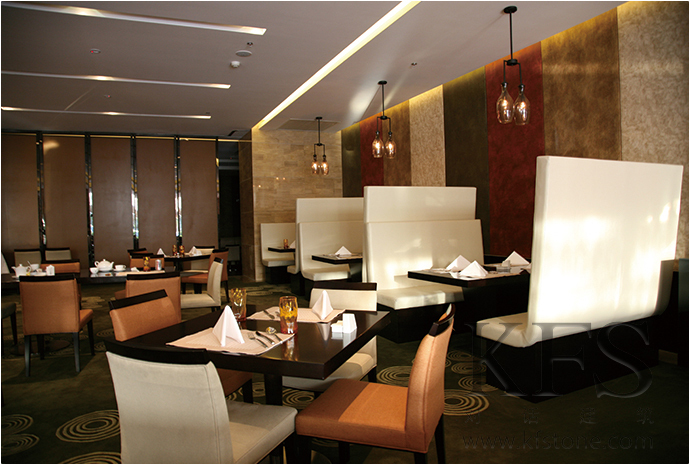 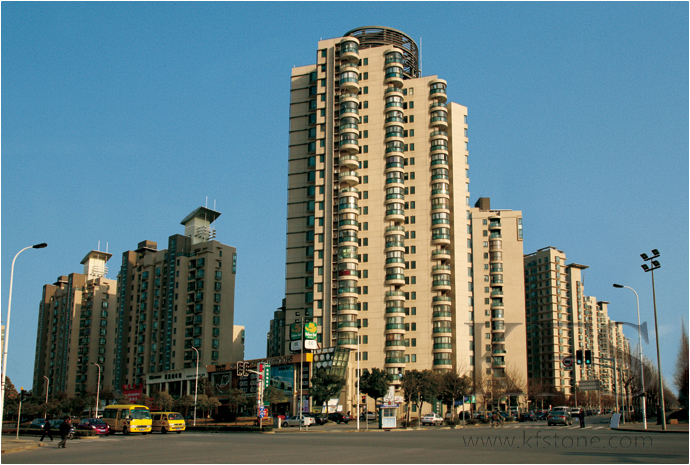 The Graceful Oasis City is a successful example of planning, and architectural design. 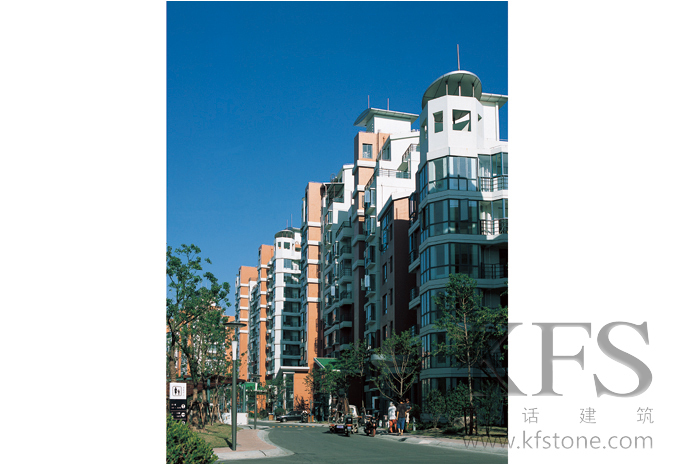 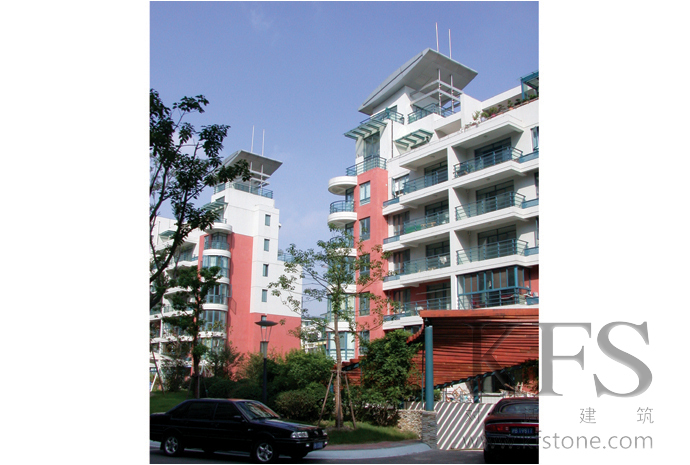 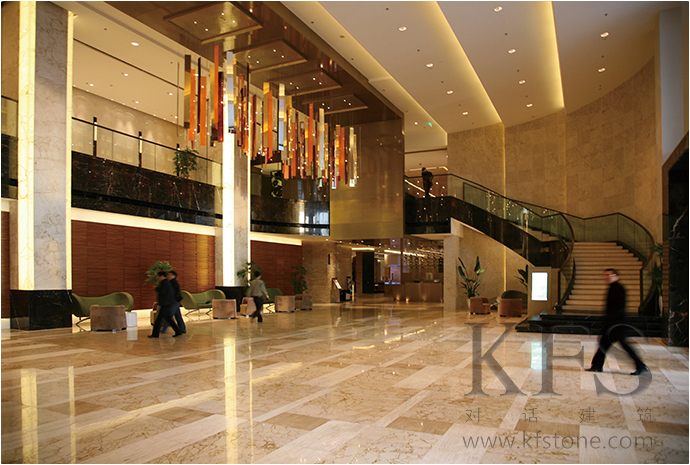 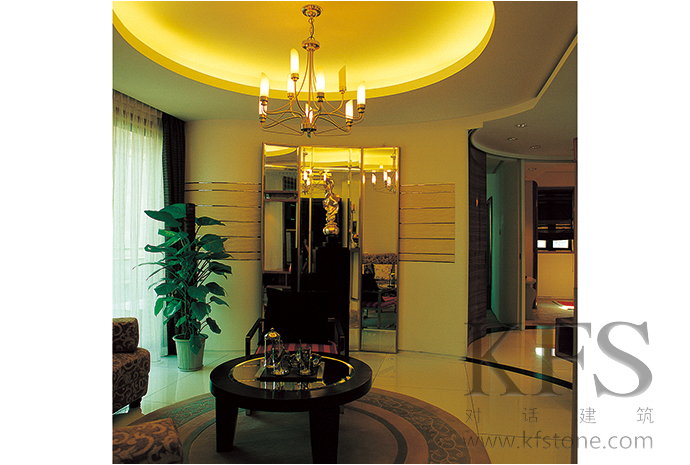 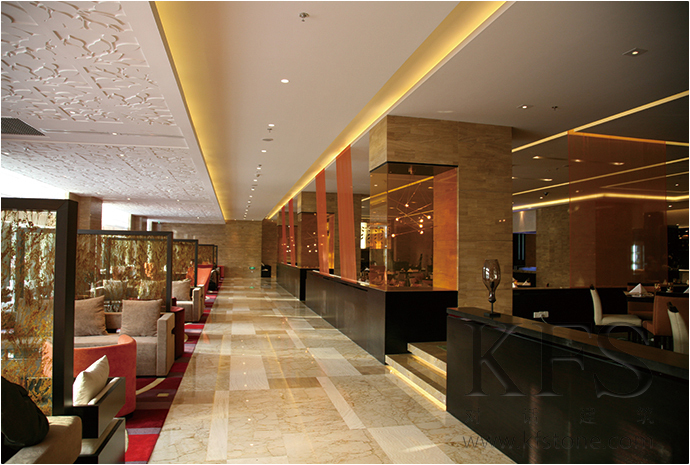 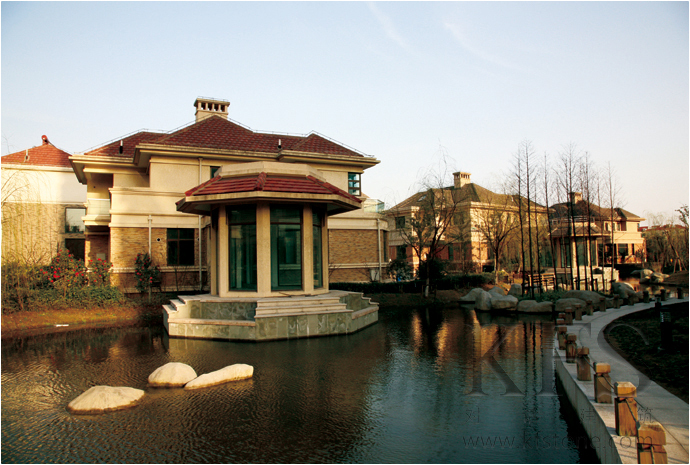 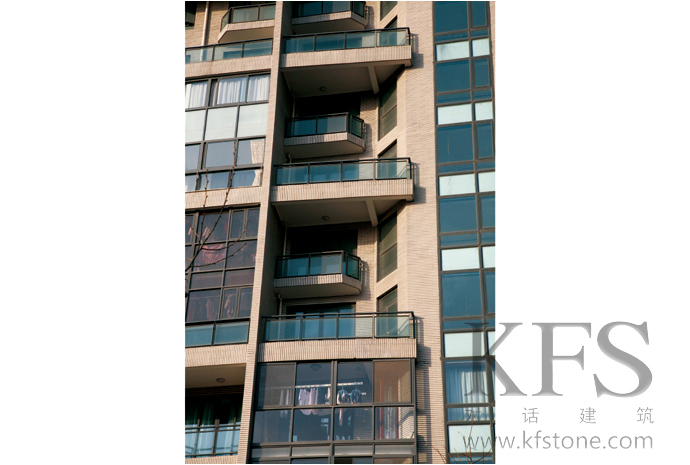 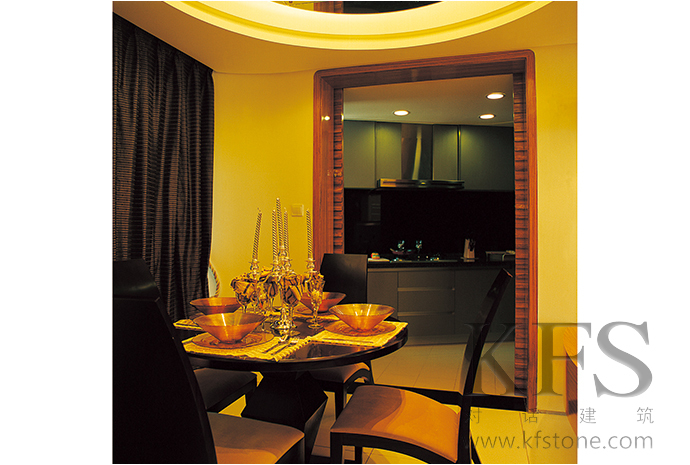 Today it is one of the largest residential areas in Pudong with the completion of 2,000,000 m2. 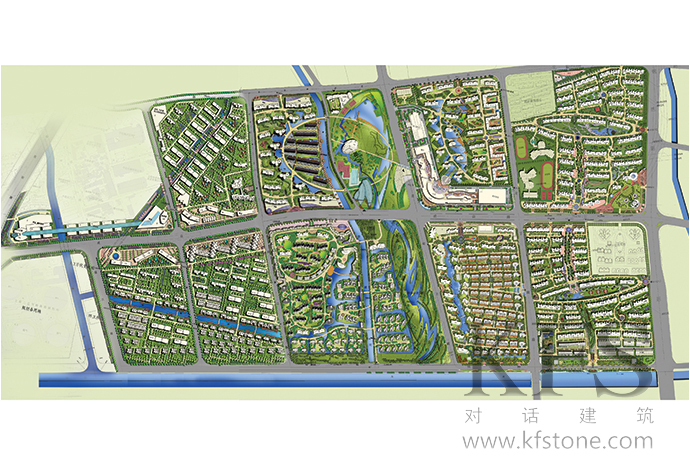 The site of Graceful Oasis project is defined by four urban elements: Yanggao Road to the East, Bowen Road to the South, Jinxiu Road to the West, and Chuanyang Creek to the North. 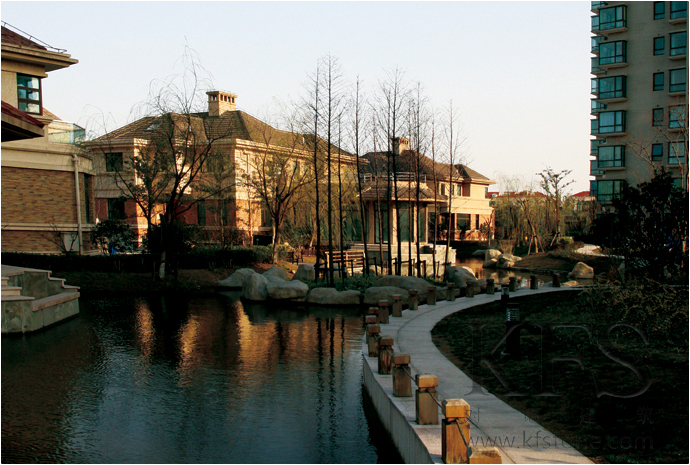 The site area is 345 hectares, with 313 hectares for residential use. 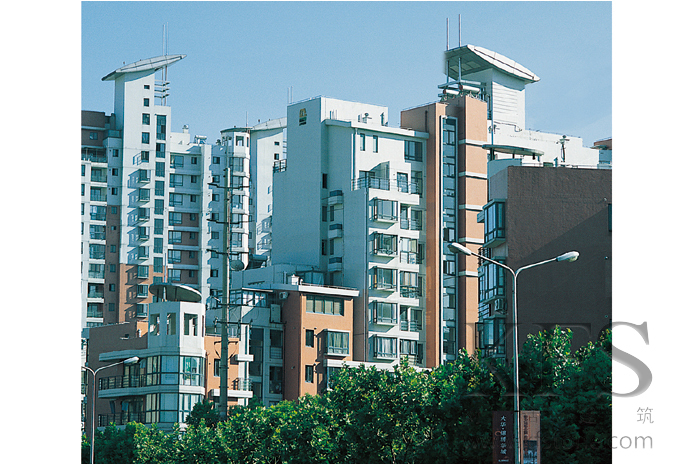 The current population is 86,000. 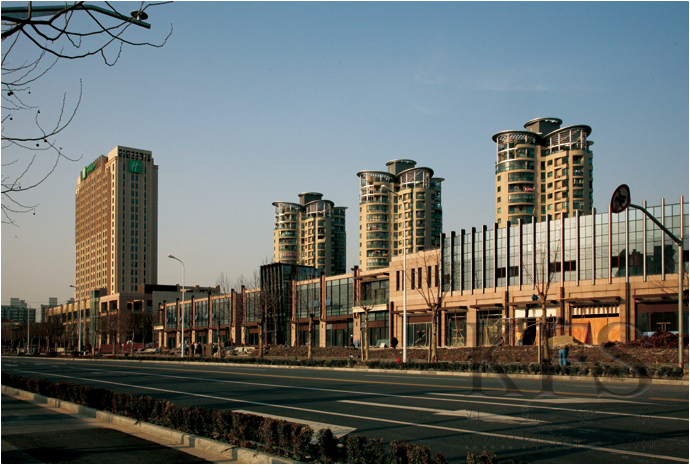 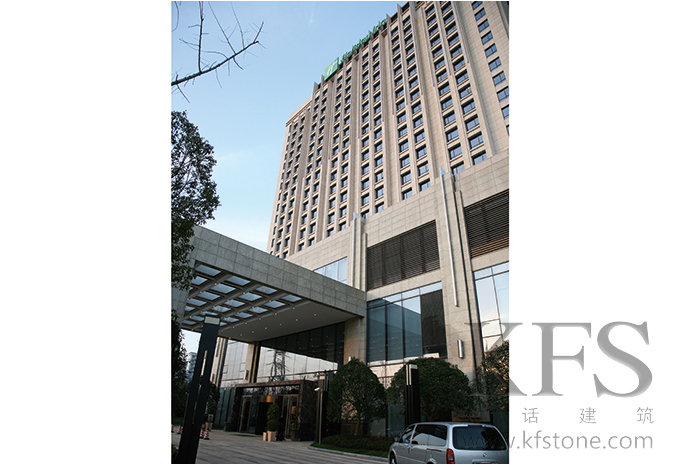 Among various types of architecture in the site the majority is residential, combined with elegant Jingxiu Holiday Hotel, educational facilities and different commercial units. 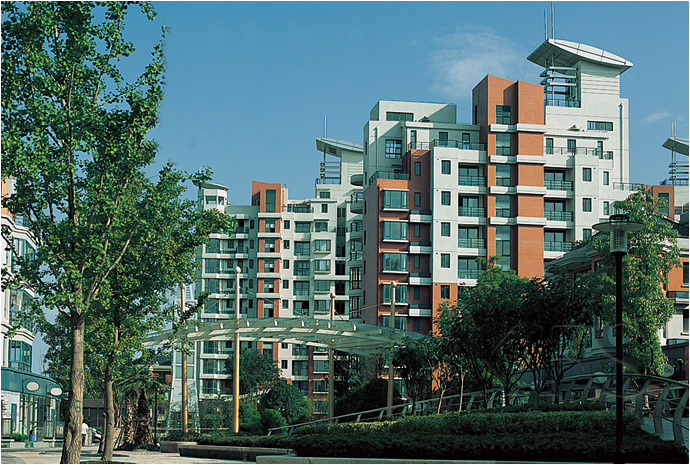 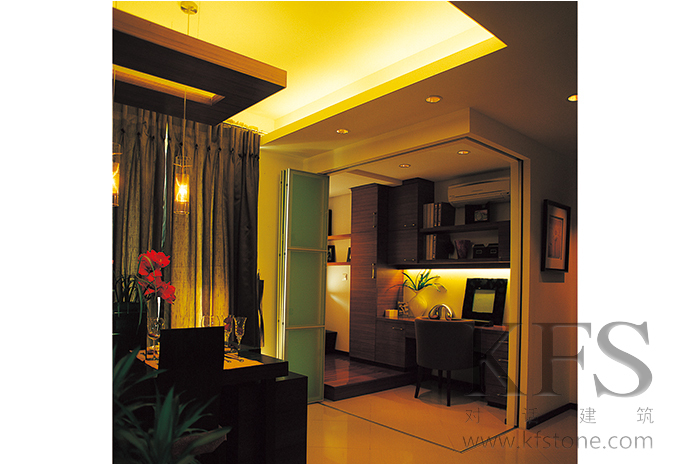 ‘Pan-Park’ is the principal design element in this project. 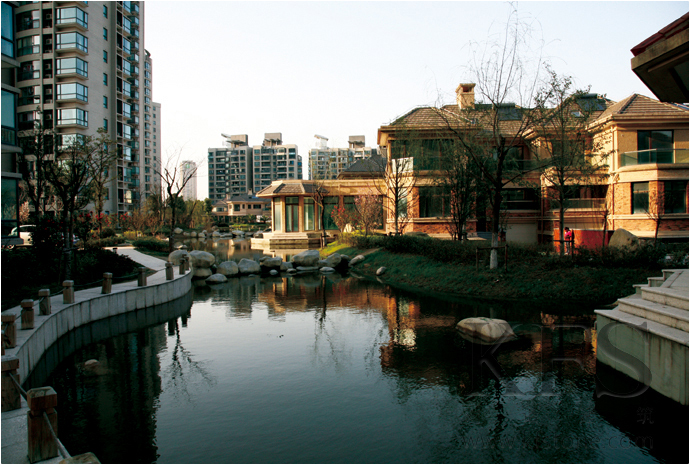 Transforming a 3.45 km2 residential zone into a large scale ecological-theme park. 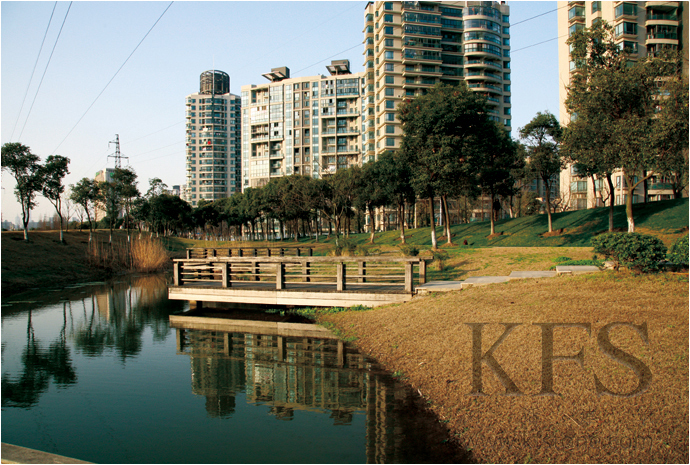 The plan was the creation of a green network within a 3.45 km2 plot by using high-voltage grids, rivers, and urban road as the fundamental structure. 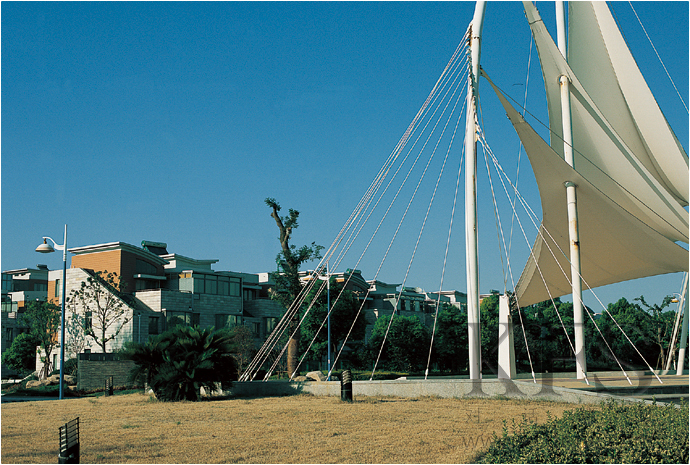 The green zone of each neighborhood was connected to this structure, forming the green web that existed in the urban texture. 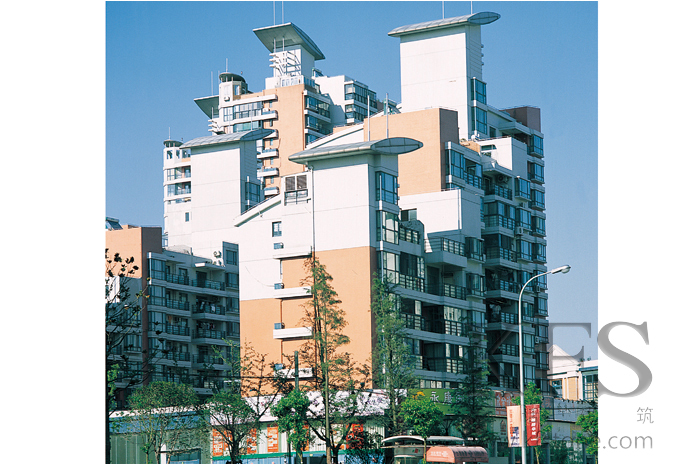 Chengshan Road was the main traffic corridor through the site, with multiple bus stops and subway stations. 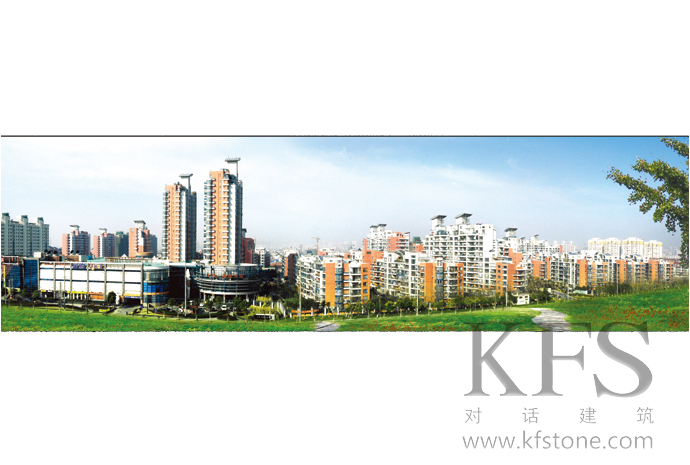 To live up to this potential KFS placed hotels, offices and commercial functions along this road. 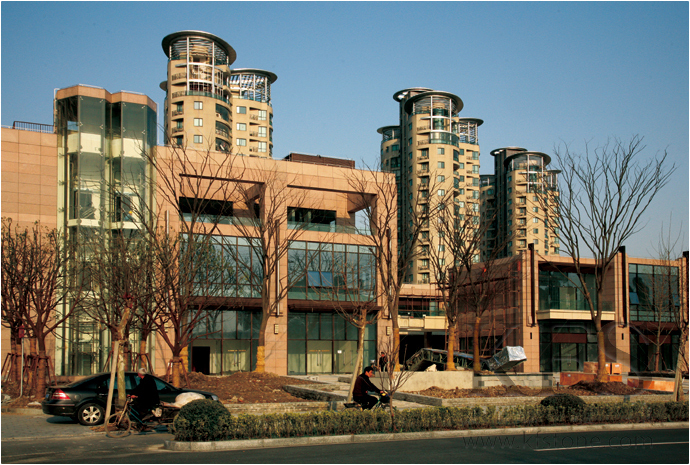 The main commercial entrance merged with the green area of the residential zones, forming a model with a unique commercial character.